After trumpets of the apocalypse proclaim the fall of humanity, vampires arise from the shadows to rule the earth. Yuichiro wants just one thing-to get revenge by killing each and every vampire. The attack on Nagoya continues! 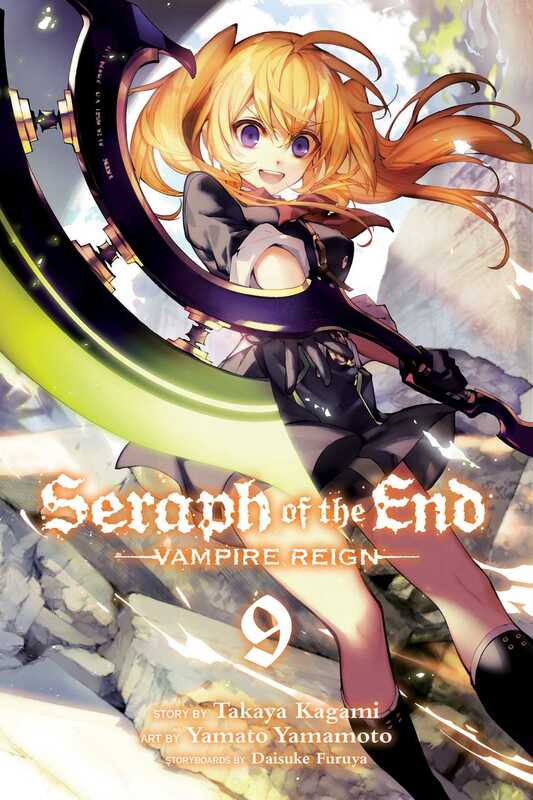 The Japanese Imperial Demon Army descends on the vampire nobles, aiming to exterminate them completely. The nobles fall one by one until vampire Crowley Eusford takes twenty human hostages. He aims to lure Guren out and capture him for information. Can Guren, Shinoa and Narumi squads work together to rescue the hostages and defeat Crowley and his minions?